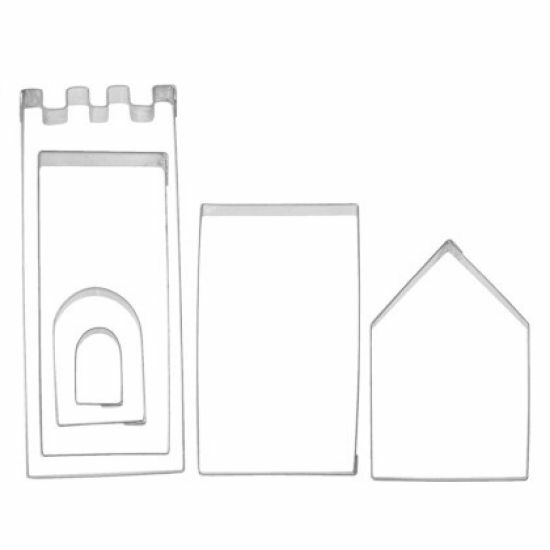 This plastic church window cutter set is ideal for decorating a wedding or Christmas cake. 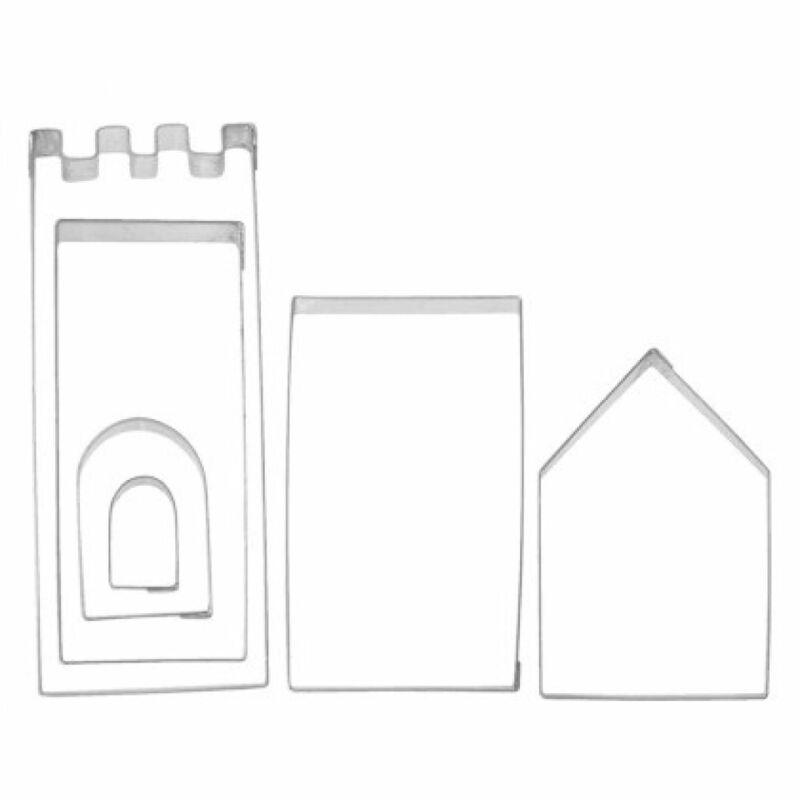 Tallest tower: 60mm high x 45mm wide; plain rectangle: 45mm high x 24 mm wide; house with pointed roof: 40mm high x 24mm wide. The tall rectangle within the tallest tower measures 48mm high x 19mm wide.